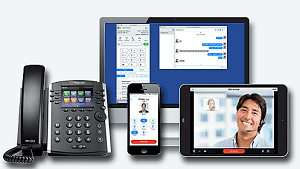 The corporate telephony scene has been undergoing the VoIP paradigm shift for quite a few years now, with companies forsaking the conventional PSTNs (public switched telephone networks) and PBXs (private branch exchanges) for voice over IP and IP based branch exchanges. This endless surge of change in the communications department has also brought about a need for the credentials of the pertinent IT professionals to undergo some alterations accordingly. 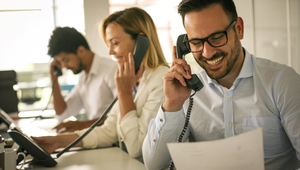 To ensure that the digital communication needs of a VoIP system are met, an IT professional needs to be aware of the ins and outs of the technologies that govern the system. Gaining certifications that are offered by big guns like Microsoft, Cisco, Digium (Responsible for Asterisk) and Avaya helps a lot in this regard and in this article, we will be talking about them. When it comes to the best communication and collaboration system solution providers, Avaya can be regarded as top of the line. You can obtain an Avaya certification in either the sales and design concentration or the services one. The ACIS or Avaya Certified Implementation Specialist certification falls into the services category. An ACIS is a credible resource who can carry out installation, deployment, testing and troubleshooting of products offered by Avaya at an entry or intermediate level of skill. If you are looking to get into the sales and design solution department, then the following certifications can be looked at: APDS or the Avaya Professional Design Specialist, APSS or the Avaya Professional Sales Specialist and ACDS or the Avaya Certified Design Specialist. It’s valid for 2 years. Training is recommended as a prerequisite. In order to get a personalized solution track, the certification page can be referred to here. Training courses can each cost between $1400 and $3500 as they vary depending on the solution track. There can be multiple exams per credential. Most of the exams cost around $125. The Certification Partners Convergence Technologies Professional certification offered by Certification Partners and TIA (Telecommunication Industry Association) has the endorsement of market leaders like Toshiba, Cisco, Vertical, Mitel and Avaya etc. Some of the aforementioned consider CTP as a prerequisite to their certifications while some consider it a great way to get trained and prepared. Data and IP networking for convergent networks. 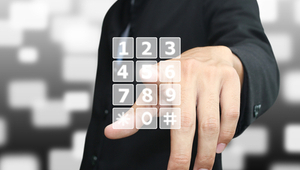 Telephony and voice services, technologies and functions. CP also offers the CCNT or the Convergent Network Technologies certification, the attainment of which should be aimed by professionals seeking to sell and support services in the convergence technologies domain. You are not required to be recertified in order to maintain the certification. Training is highly recommended before taking the exam. You need to have at-least 1.5-2 years of experience in all of the three knowledge bases (Convergence technologies, data and IP networking for convergence networks, telephony and voice services, technologies and functions). There is only one exam; it has 65 questions, spans one and a half hours and the minimum passing percentage is 75%. More information regarding the certification can be retrieved from the official website. Asterisk has been a sophisticated framework for VoIP gateways, IP PBX systems and communication and conference servers for almost 2 decades now. It powers millions of servers worldwide and is employed by many Fortune 100 companies. The widespread use of Asterisk entails that professionals with hands-on Asterisk knowledge are always going to be in demand. This made Digium offer various training courses (e.g. fast start, advanced and the essentials course etc.) along with the dCAP (digium certified asterisk professional) and dCAA (digium certified asterisk administrator) certifications. dCAP imparts its holders with an expert level of Asterisk knowledge. Applicants have to possess between 3 and 24 months of professional experience, an expert know-how of Linux and hands-on Asterisk experience (Including installation, knowledge of dial plan format and syntax, usage of fundamental CLI commands and VoIP devices’ registration etc.). Digium also expects the candidates to have knowledge of the fundamental scripting and programming languages like C, C++, Bash and Perl etc. along with knowledge of VoIP protocols like SIP. You have to pass an exam that consists of two parts: One is written and the other involves a practical lab exam (where you will carry out a PBX configuration). Even though there is no prerequisite per se, it’s recommended to take the Asterisk advanced training course before taking the exam on. The exam costs around $300. The exact number can have geographical dependencies. More information regarding the certification can be obtained here. The MCSE: Productivity certification rolled out by Microsoft in 2016 primarily focuses on creating experts who can handcraft cloud and/or hybrid Microsoft Office solutions at an enterprise level. It also provides applicants to become specialists in other Microsoft technologies like Skype for business. After the prerequisite certification has been obtained, an elective exam (which has to be chosen from a list of approved exams) has to be cleared. This will include the Deploying Enterprise Voice with Skype for Business 2015 exam. The certification’s credential has no expiry date but Microsoft recommends annual recertification to all the holders. The exam costs $165 and Pearson VUE administers every one of them. In the modern world of tough competition, it’s always handy to have a competitive advantage over your counterparts. Obtaining these state-of-the-art telephony certifications can do just that for IT professionals aspiring to stand out.